Destroy the Air Defense and deploy your Balloon. Deploy a few Barbarians to set off the traps. Deploy 10 Archers to destroy the Air Defense. 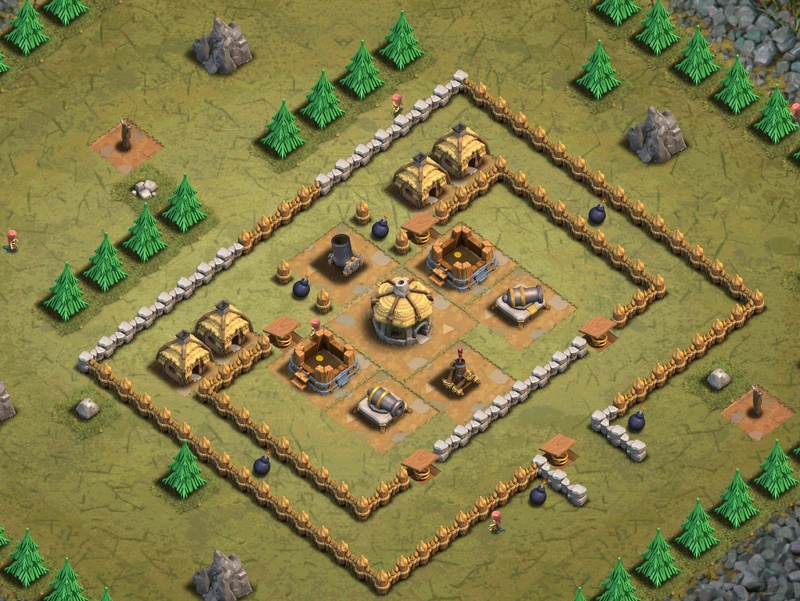 Or send in about 25 Archers (preferably level 2 or higher) at the southeast entrance to take out the Air Defense, then 1 Balloon to take out the rest. Note that there are Spring Traps to the side entrance to the Cannons. Is P.E.K.K.A a knight? A samurai? A robot? No one knows!